You love the idea of creating Memory Maker photo jewelry but you’re a teeny bit worried it will be difficult to make, right? Photo jewelry is a beautiful combination of style and sentiment that requires very little effort to customize. 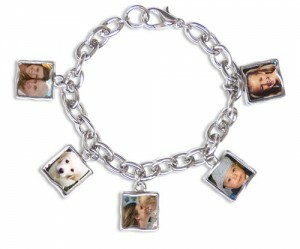 Your Memory Maker jewelry or accessory will arrive fully assembled; all you need to do is add the pictures. Whether you’ve chosen a photo bracelet for yourself or a photo necklace as a gift, a few minutes of your time will pay off with tons of compliments. Photo jewelry making is so easy! You’re only a few steps away from creating a special piece of jewelry to show off your photos. Sounds easy enough but sometimes this is the hardest part of the process. Choose your favorites or put together a theme. Are you wondering, “How do I make my pictures so small?” Don’t worry, we’ve made it easy for you. The EZ Fit Photo Reduction System is an online photo shrinking tool made exclusively for Memory Maker photo jewelry and accessories. There’s no guess work! Best of all it’s free and there’s no software to download. Simply upload your photo (up to 2MB), crop to fit the jewelry, download and print. After you shrink your pictures you’ll be prompted to download the miniaturized set of photos to your computer. All you have to do is print conveniently at home. After printing your photos cut them out so that no white border remains. Memory Maker photo jewelry and accessories come with a plastic protective cover pre-installed in each frame. Remove this plastic cover with a straighten paper clip so it can be installed later. 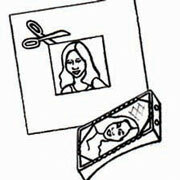 Pop in your photos, replace the plastic cover and you have photo jewelry that’s ready to wear or ready for gift wrap.